This product was received for the purpose of review. Description: A deep cleansing product, both a cleansing oil and cleansing cream in one. Dissolve your makeup and cleanse your face after a long day with donkey milk and camellia oil mild cleansing cream. Instead of the hassle of tiresome double cleansing, use both a cleansing oil and cleansing cream in one! Deep pore cleansing, makeup removal, clean rinsing, and no stickiness or residue. Directions: Apply cleansing cream to skin, and massage into skin for 1-2 minutes. Remove by gently rinsing with water, or wiping away with tissue. Second cleansing is not required to clean up after the cleansing cream. 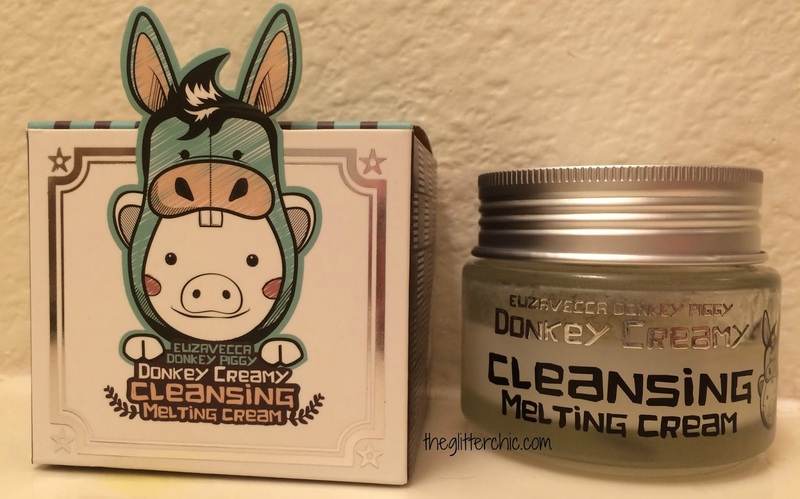 Performance: The Donkey Creamy Cleansing Melting Cream from Elizavecca comes in a heavy-duty glass jar with an aluminum screw-on lid. I have mixed feelings about this packaging - it's cute, sturdy, and works well; but because of the oily nature of this product it leaks easily while the jar is full. The jar had leaked a small amount during transit, but only some separated oil had escaped and it was easy to clean up - I'd recommend ordering during a cold time of year so it's more solid during shipping. The texture is oily, creamy, and smooth. It spreads easily onto the skin, and melts away very quickly against the warmth of your skin. Because this cleanser is a mix between both a cream and an oil, it's an excellent makeup remover! 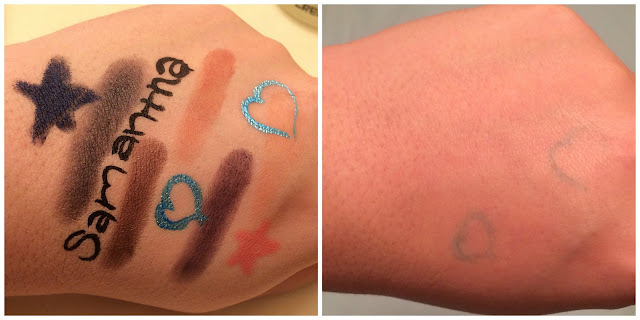 By following the directions and massaging the cleanser onto my hand for two minutes, the melting cleanser removed all but a small amount of the blue eyeliner - and to be fair, the following morning those blue marks were still there, that eyeliner is crazy strong! Verdict: This cleanser does a great job removing most makeup, and can be used as both a first step or only cleanser as it does rinse away very well. I prefer to use it as a first cleanser followed by a second cleanser. I love how soft it leaves my skin feeling, and how bright and clean it looks afterwards. It can be a bit greasy for the eyes, but if you keep them closed it works well there too! This is a cleanser I would repurchase. Available on eBay, Elizavecca, WeMakePrice, and Memebox*.